No matter how cutting edge the technology in your air conditioning or heating equipment may be, nor how meticulously maintained the system is, thermostat problems can prevent it from functioning properly. In addition to maintaining the desired temperature setting, the thermostat controls on and off function. Thermostat problems may be wrongly attributed to component failure in the furnace or air conditioner, causing an unnecessary delay in resolving the problem and restoring your Las Vegas, NV-area home to a comfortable temperature. That’s why experienced HVAC service techs will usually verify the status and settings of the thermostat first before looking for more complex explanations for system problems. Here are some typical thermostat problems that might masquerade as more serious issues elsewhere in your A/C of furnace. Check for power to the thermostat. If it’s a digital programmable model and the display isn’t lit, that’s a giveaway. A battery-powered unit may simply need new batteries. A unit that gets power from the furnace or A/C may have lost power due to a tripped circuit breaker. Look for accumulations of dust and dirt. Thermostats are often ignored during regular housekeeping and can gather dust, spider webs and other airborne debris that clogs air inlets or interferes with the internal mechanism in mechanical mercury-switch thermostats. Check for loose wires at the terminal connections behind the thermostat. Consult the manual for instructions to detach the thermostat and access the wiring connections. Use a screwdriver to tighten the screw terminals. For a programmable model, make sure someone updated the programmed thermostat time when daylight savings time or standard time took effect. If all else fails and the thermostat remains unresponsive, replace with a new model. If the existing unit is an older manual model, it's a good time to ask your HVAC contractor about upgrading to a programmable thermostat for improved convenience and energy efficiency. If the thermostat is cooling or heating rooms to a temperature other than the indicated setting, first make sure the unit is clean and air vents unobstructed by dust that might skew accurate room temperature sensing. Also, it the thermostat is a manual mercury switch model, verify that it’s installed in a level position on the wall. Use a carpenter’s level to check it and straighten the unit if necessary. Is the thermostat installed in an area where it’s affected by either direct sunlight or drafts of cold air? These factors may produce acute temperature readings that aren’t representative of the actual temperature in the rest of the house. Ask your HVAC contractor about relocating the thermostat to a more central location, if necessary. Consult the manufacturer’s instructions for re-calibrating a programmable thermostat to bring the temperature setting and internal temperature sensor into balance.These are often printed on the inside door of the thermostat or included in the owner’s manual. If you need help, an HVAC technician can probably talk you through the procedure. The anticipator function may be maladjusted or defective. In a manual thermostat, the anticipator begins shutting the furnace down a few degrees before the actual temperature setting is reached to avoid overshooting the setting. A defective anticipator or one that needs adjustment is a matter for a qualified HVAC service tech. Again, dust or dirt accumulation or anything else that prevents the thermostat from accurately sensing the room temperature or interferes with internal mechanics could be the reason for this. In a digital programmable thermostat, erratic start/stop operation may also be the result of weak, failing batteries. Another electronic cause in programmable models is flaky pin connections between the wall back plate and the thermostat unit itself. This is usually because the back plate installed on the wall is flexing slightly, causing the voltage or data connections to be insecure. 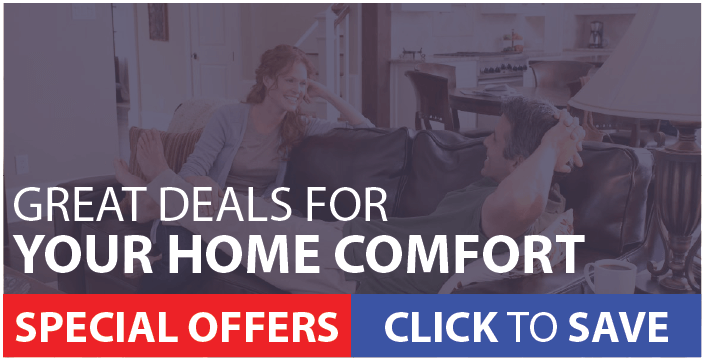 For more information on resolving common thermostat problems, check out Ambient Edge's home HVAC solutions, or call 928-263-8698 in Arizona or 702-723-4704 in Nevada.